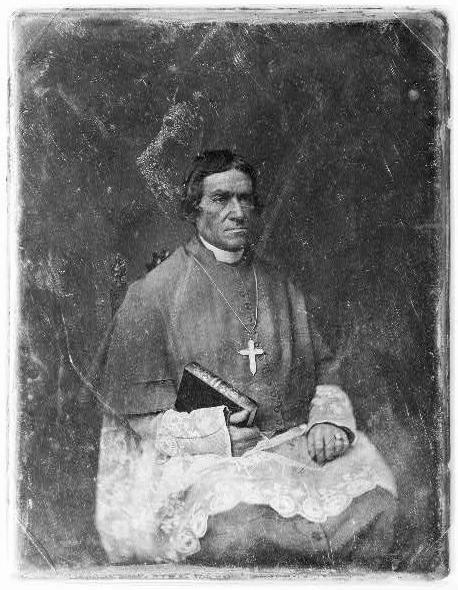 Portrait photograph of Bishop Fredric Baraga who founded the Ojibwa Indian Catholic Mission of Assinins in 1843 located just north of Baraga. Assinins which means "Little Stone" is named after the first chief Bishop Baraga baptized. 1900's picture of the Catholic Mission at Assinins north of Baraga. 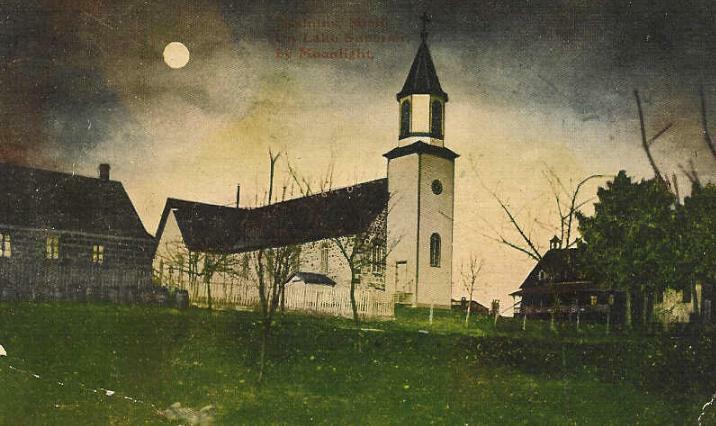 1900's color picture of the old Catholic Church at Assinins under the light of a full moon. 1900's picture of St. Joseph's Convent at Assinins. 1900's picture of the old orphanage building at Assinins. 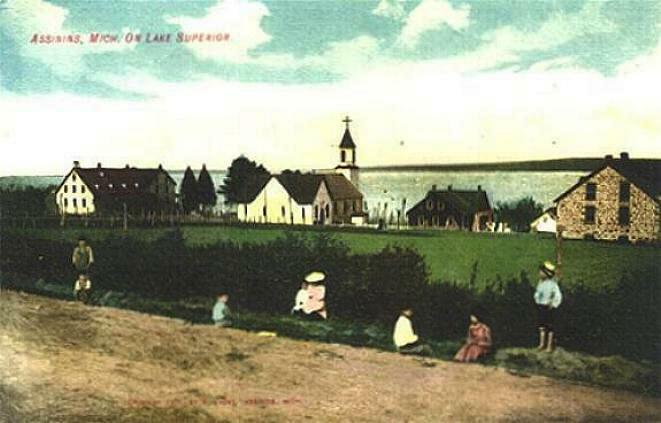 1900's color picture of children playing near the Catholic Mission at Assinins.